Kamal specializes in the quantitative analysis and geological characterization of ancient ceramics using archaeometric techniques. 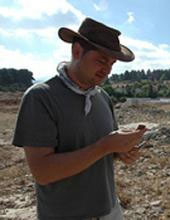 He is interested in human adaptation to changing social, economic, and environmental conditions, especially as related to increasing settlement density, and his research focuses on understanding the social and economic changes that accompanied the development of the first urban landscapes of the ancient Levant. Michael focuses on lithic analysis, paleoarchaeology and human evolution, the history of archaeology, and the archaeologies of Near East, France, and South Africa. He has conducted fieldwork in Wonderwerk Cave in South Africa, Wadi Mataha in Jordan, and Kebara Cave in Israel. Ayelet Gilboa is currently head of the Zinman Institute of Archaeology at this university. She codirects the Tel Dor Excavations and Publication Project in Israel and directs the Shikmona (Josheph Elgavish Excavations) Publication Project. 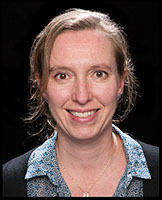 Her main interests are cross-Mediterranean interconnections, Phoenicians, Sea Peoples, Iron Age ceramics, Iron Age chronology, methodology of archaeological site reports, and the symbolic properties of material culture. Doga's research focuses the archaeobotanical investigations of ancient plant remains of two archaeological sites, Tell Tayinat and Zincirli Höyük, located in the northern Levant. It aims to distinguish environmental, climatic and anthropogenic factors which may have been affected the palaeovegetation at the sites under consideration during the Bronze and Iron Ages. 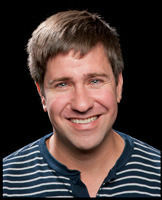 Dan is a Landscape Archaeologist with a focus on the Near East and Central Asia during the Holocene. He runs two major research projects. The Semiyarka Urban Survey, and the Climate, Landscapes, Settlement and Society (CLaSS) project, which examines the relationship between complex human societies and climate change over the last 8,000 years. 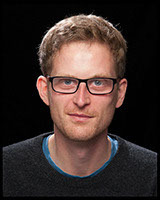 He also directs the Durham Archaeology Informatics Laboratory, a research hub dedicated to Landscape Archaeology, GIS and remote sensing and computational approaches to the archaeological record. 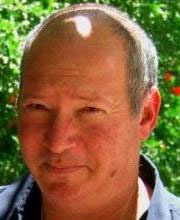 Gunnar is Associate Professor at the Ben-Gurion University of the Negev. A specialist in Levantine archaeology, he has conducted archaeological excavations in Syria, Jordan and Israel. Zoe focuses on making academic research accessible to the public. While working at the ROM, Zoe has taken on the challenge of transforming the Museum’s Festival Programs into a dynamic platform where arts, music, history, and culture are explored with an innovative schedule of performers, storytellers, chefs, academics, and artist. The past can only be understood through our own experience of it and Zoe passionately believes that museums were made for people of all ages and interests, without boundaries or barriers. 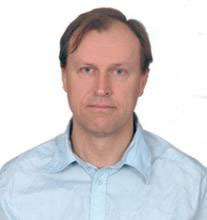 Leminia is a scientific associate at The Technical University of Crete. She has worked on the Dynamic Graphics Project for high performance visualization of geo spatial information at U of T. Her interests are also to integrate database management systems with computer graphics tools for effective modeling and use for natural resources. She has been working in several projects in many different areas of image processing, photogrammetry and remote sensing, data quality, spatial data mining and spatial databases. She has published extensively in the general area of Geo informatics. Hervé Reculeau is a historian of Syria and Mesopotamia in the second millennium BCE. His research centers on the environmental and social histories of the ancient Near East, with a particular focus on landscapes and the interaction between humans and their environment from the technical, historical, and socioeconomic points of view. Among his special interests are irrigation practices and devices, agricultural works and techniques, and the social settings of the Syrian and Upper Mesopotamian countryside, as well as their relationship to urban centers. Lynn is the field director of the Field I at Tell Tayinat, specializing in the Early Bronze Age and Early Iron Age, and has also worked in Ethiopia (Eastern Tigrai Archaeological Project), Iraqi Kurdistan (excavations at Bestansur) and Iran (Gorgan Wall Survey). She investigates questions about ancient interaction and mobility, specializing in geoarchaeology and bioarchaeology. She is currently a Marie Curie Postdoctoral Fellow in the Department of Archaeology of Durham University. Assaf is the head of the laboratory for Coastal Archaeology and Underwater Survey. His research is primarily concerned with the ways that the cultures of the Eastern Mediterranean during the Bronze and Early Iron Ages (e.g. Canaanites, Philistines, Myceaneans, Cypriots and Phoenicians) interacted with each other as well as adapted to the ever changing political, social and ecological conditions of the eastern Mediterranean. He has published extensively on interactions between the Aegean and the Levant during the second millennium B.C.E. and is the codirector of the excavations at Tel Kabri and the underwater excavations at Tel Dor.